If symptoms are neglected and left untreated, issues can lead to much more serious conditions such as pyoderma, a severe bacterial infection and skin disease. Pets with rolls are susceptible to many unfortunate conditions; it is our duty as loving owners to make sure we keep them healthy and comfortable. 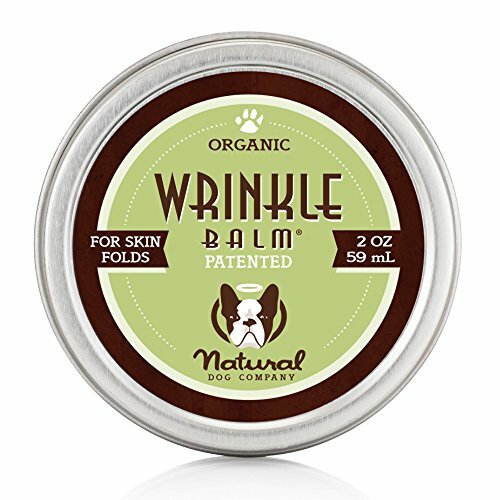 Wrinkle balm is great for using around the face! It is scent-free, soothing, and helps to diminish the disconcerting “stinky face”. Big wrinkles are beautiful – lets keep them that way! Wrinkle Balm is a PATENTED all-natural balm specially formulated to treat and prevent skin fold disease, infection and discomfort. Wrinkle Balm is loaded with vitamins and antioxidants to improve skin fold condition and prevent future impurity. Fragrance FREE (because dogs do not like scents like we do). Guaranteed to work FAST with our generous 90-day return policy - even if you use it all!.